When I was a kid, my dad took us to Pannekoeken Huis. We'd get dutch pancakes filled with the most delicious toppings. I remember getting Pannekoekens filled with mixed berries, strawberries and banana cream. Loaded with tons of whipped cream too! Well, there is still one Pannekoeken Huis left here and it happens to be in the same city that my dad lives so we all went there. It turns out they have a whole bunch of new flavors. 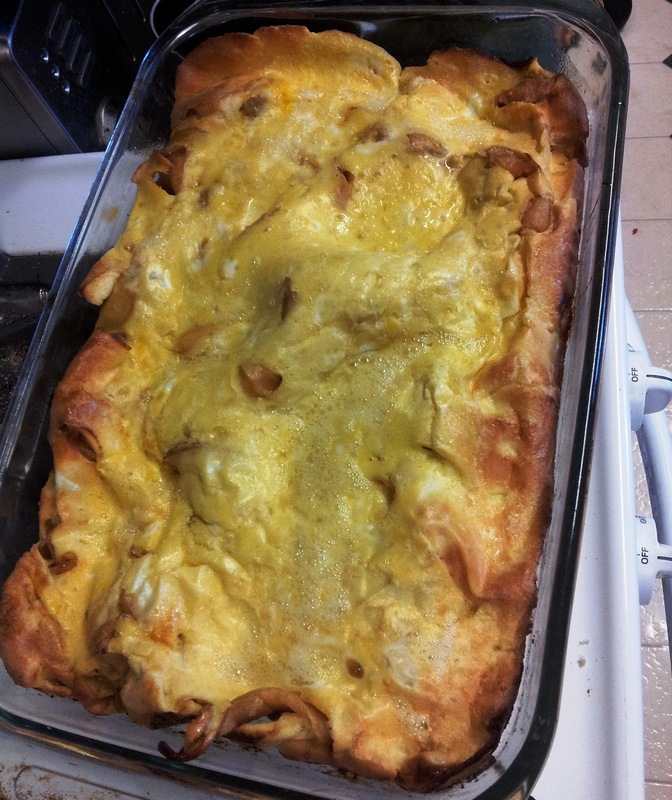 They have a Southwest version, Turkey Divan and my husband ate the Taco Pannekoeken. 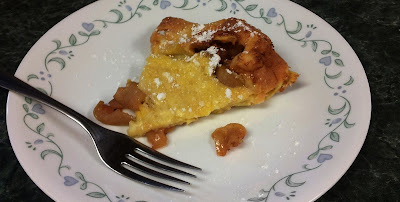 The kids had Dutch Apple, Pineapple Upside Down, and Bacon. I tried the Banana Foster Pannekoeken with a fantastic rum sauce. We even saw a Smore's Pannekoeken as the special of the day. That sounded good! Of course, the topic came up that we could try to make these at home. I started out simple with just apple. It turned out wonderful! It was light and fluffy and tasted amazing. We ended up making a single batch in the pie plate and then a double batch in a 9 x 13 pan. There are a lot of us and we needed a lot of food. I covered mine with a bit of powdered sugar, the kids used some syrup. The only thing missing was the whipped cream! There are so, so many different ways that I could make these. I look forward to trying out different fruit combinations and maybe even trying a savory one! Preheat the oven to 500 degrees. 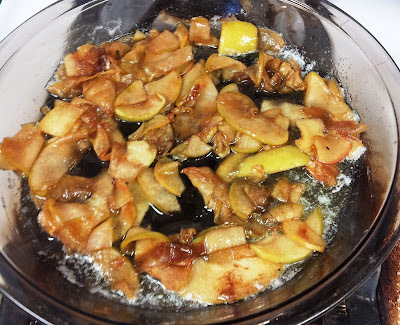 In a small saucepan, combine the sliced apples, sugar, cinnamon and lemon juice. Stir to combine and cook over medium heat until golden brown, stirring occasionally. 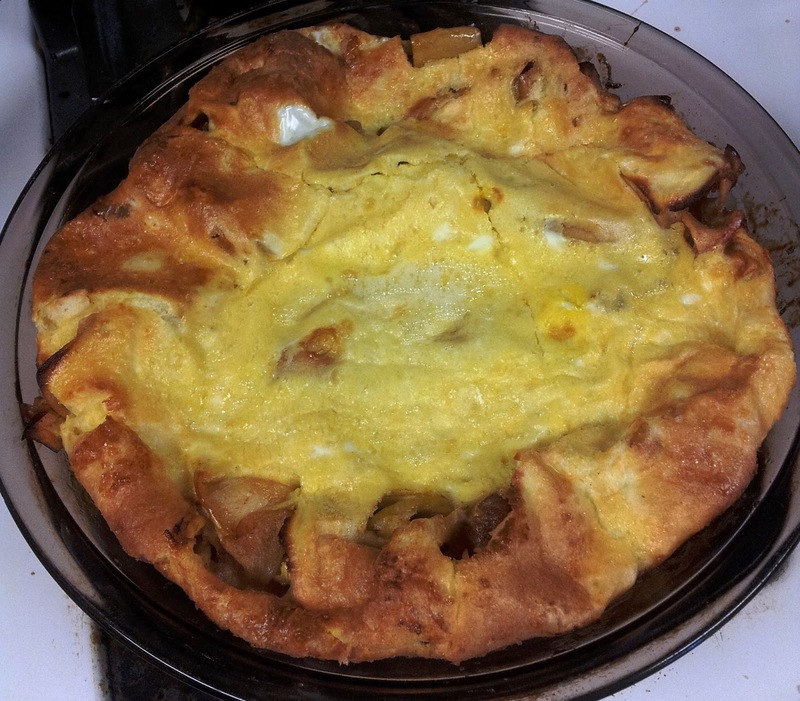 While the apples are cooking, whisk together the flour, salt and milk. Add the eggs and whisk again and set aside. Place 2 tbsp. butter in glass pie plate and melt in oven. When butter has melted, remove pie dish from oven and turn to coat the bottom and sides with the melted butter. 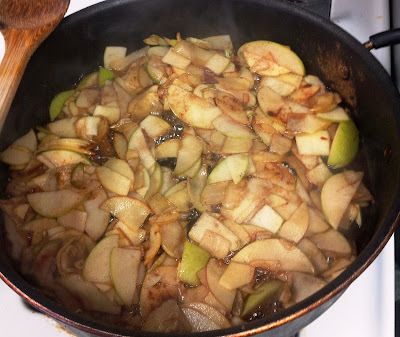 Add the cooked apples to the butter. Then pour the pancake mixture over the apples. Return the pan to the oven and reduce heat to 425 degrees. 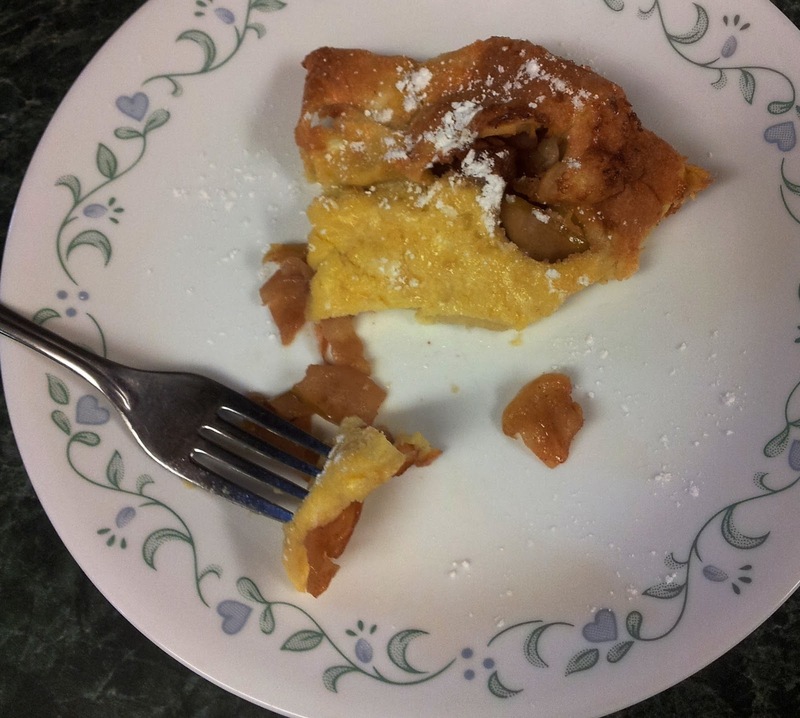 Bake for 18 - 20 minutes, the sides of the pancake will rise over the rim of the pie plate and brown slightly. Dust with powdered sugar and enjoy. You can also double the batch and make it in a 9 x 13 in. pan.